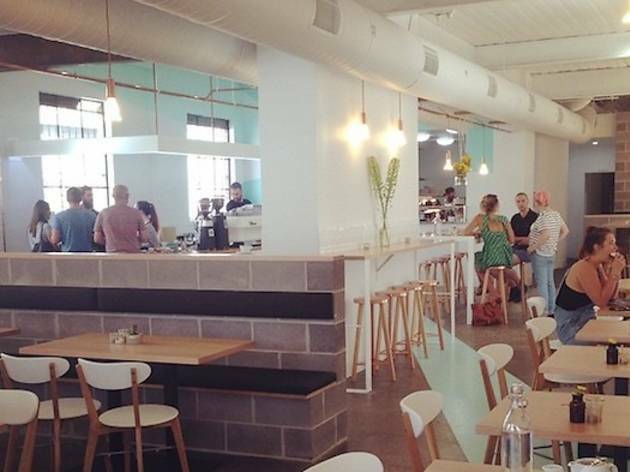 Sir Charles's light and minimalist fitout lends itself quite well to the all-day eatery concept. 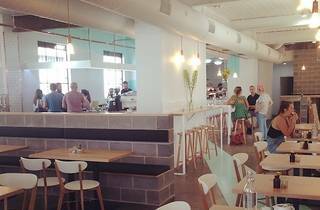 The Johnston St cafe/restaurant is open from breakfast right through to dinner and all it takes to transform the space from day to night is a turn of the dimmer for mood lighting. Expect to find Asian fusion dishes that bring back old favourites with a twist. While the menu changes seasonally, it has featured clever cross-cuisine combinations such as a hollondaise with Sriracha sauce, a mushroom omelette featuring Chinese sausage and Chinese traditional dishes with South East Asian flavours. They're serious about their coffee too. There's a roastery out back and the resident barista make their own blends onsite.